Creative Nonfiction/Essay By Lynda McKinney Lambert: "When I Begin my Day with Mozart"
Lynda McKinney Lambert is a retired fine arts and humanities professor from Geneva College, Beaver Falls, PA. She resides in a small village in western Pennsylvania with her husband, Bob, 4 cats and 2 dogs. Lynda is the author of Concerti: Psalms for the Pilgrimage, published by Kota Press. She writes articles on the humanities, contemporary poetry and inspirational human interest stories. Her teaching career took her to Europe each summer where she taught drawing and writing to college students. She also taught a course in Puerto Rico every spring semester for the college. 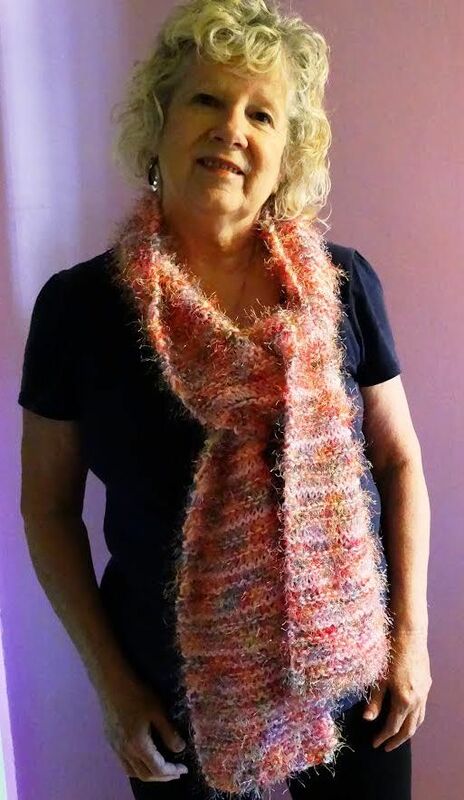 Lynda loves to write, knit. and travel. She is a freelance writer who specializes in essays and poetry. Currently, she is working on two books for publication later in 2016. One is a book of essays and memoirs; the other a book of poetry. I put the morning coffee on to brew, and then reached for a CD of Mozart’s Violin Sonata in B flat. The soft, slow opening lines of the Largo-Allegro began. A piano and violin gracefully moved me to listen closely to this composition written centuries ago. There is something compelling about Mozart’s music. The music takes me back in time-but not to the time in the Eighteenth century when the music was first performed for a royal audience. It is my own time. The music of Mozart became a core element in my personal contemporary life. I remember my first days in Austria. When Mozart first performed this original composition on April 29, 1784 in Vienna, there was a surprising bit of information that came out of this special first performance. It’s a unique story that lies behind the music I am listening to today. In the audience that day was Emperor Joseph II. During that first performance, as Mozart played the piano, the Emperor made a discovery. He saw the Mozart had blank sheets of paper up on the piano – because he had arrived for his performance and had composed the piece in his mind, but had not yet had time to write it down! My first trip to Austria was in the summer of 1991. It was a gift to me to celebrate the completion of an important goal. I had finished my Master of Fine Arts (MFA) degree. Soon after graduation, I arrived in Salzburg, Austria at the beginning of a celebratory time for the city. I was just in time to join the festivities for the 200th anniversary of Mozart’s death. My month-long holiday was filled with visits to special art exhibitions in palaces and museums – each one focused on some aspect of Mozart’s life or music. Yes! I was hooked on Mozart! I walked through his birth house, and death house, and stood inside the churches where Mozart once performed the music he had written for services. I found the gravesites of his wife, Costanza, and other family members. I purchased Mozart candy, wore Mozart T-shirts, and sent Mozart postcards to my family and friends. Before I made that first trip to Austria, I was in graduate school pursuing my MFA degree. I worked diligently during those two intense years, and at times was so exhausted from working days and nights in my research and writing. 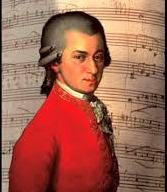 When I went back to my apartment for a rest and meals, I often refreshed my mind by listening to Mozart’s music. I was particularly drawn to his Requiem Mass because it echoed my own weariness. So, at the end of this phase of my education, my visit to the city of Mozart’s birth and death was a natural choice. While in Austria, I came to a conclusion about an intention for my own life. I realized I had fallen in love with Austria - the culture of art and music, the people, and the music of the masterful composers who lived in Austria over the centuries. I intended to order my life in such a way that I would spend my summers there every year. Of course, I had no idea how that would happen, or if it could happen. (I had read about an idea of a “dreaming prayer” in a book by Catherine Marshall). And that was my dream to return again many more times in my future. Eventually, my own professional teaching career began when I accepted a tenure track position at a private college in western Pennsylvania. During my first year of teaching at the college, I created a course to take students to Austria to study drawing and writing. The following year I was back in the city I love! I had the joy of bringing students to Austria every summer ever year. We lived in a small village in the Alps. Most days we met early in the morning and then traveled somewhere in the area to draw and write from the different places we explored. It was my dream that became a reality. I shared this magnificent city for a month-long sojourn each summer. On our weekends, we traveled together to other countries, too. We climbed mountains and locked our arms together as we skipped down steep mountain paths. We kept journals, wrote about the cultural experiences we found, made drawings and paintings in the streets and mountain paths, went to concerts, shopped and trekked our way through the new places we found. Gradually, over the years, I began to realize that the seeds of what we love become the life we live when we set our intentions in that direction. Now, sitting here in my office typing up this essay, I listen closely as the final piece of music comes to a conclusion. The piano and the violin have been playing together as I write. The violin sonata plays on and I listen to the rapid notes of the piano moving of playfully through the house in what seems like a race with the violin. I can envision a spring afternoon and the violin and piano romping in the sunshine, chasing each other about on the lawn. At times, it sounds like the piano takes the lead, yet, this is not the case. The violin weaves through the many notes and in the end they are one. I listen as applause breaks out immediately as the piano and violin strike the final note together. At special moments throughout my day, I just might hear a few bars of Mozart’s Violin Sonata in B flat in my mind. And, at the end of the day, all I truly want is to know that God and I have also ended up on the same note.